For buyers, the Spanish property market is looking pretty good right now. Property prices in Spain have been falling for the last 7 years but now they're on their way back up. That's a good climate for you as a buyer. You can buy that dream piece of property in Costa Del Sol and enjoy a virtually immediate rise in the worth of your investment. Rental income prices are also pretty attractive right now. Especially if you plan to rent to tourists, it can be a rather lucrative business. That's not good news for the folks that live there. But if you're looking to buy and rent a vacation home to tourists, it can be a tidy investment. Interest rates are attractively low right now. Plus, banks are showing a willingness to lend to overseas investors. That means that you don't even have to have the upfront capital to buy. You can get a mortgage instead. While rent prices are not too attractive right now, the rest of Spain's cost of living is pretty reasonable. To give you a quick idea here are a few prices for common items. As you can see, it's not too bad. So far, we've mentioned some good economic reasons to buy property in Spain. Now let's take a look at a few fun ones. 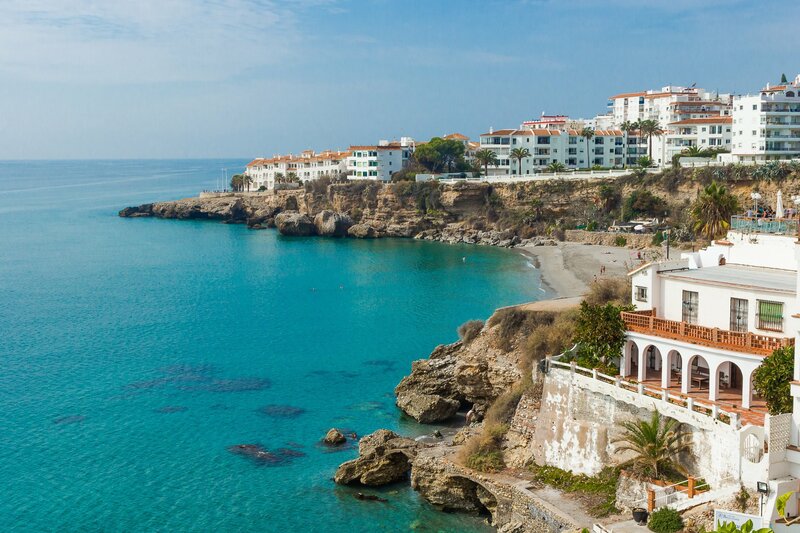 Strategically located as it is in Southern Europe, Spain enjoys about 320 days of sunshine each year. That means that you can vacation at any time of the year. Plus, there is also more potential for holiday rental income because tourists are coming all year round. With all that sun, you're going to want to get in a few beach days! Spain certainly has plenty of beaches. The country has the second longest coastline in Southern Europe. Local cuisine is always something you should consider when buying vacation property. Why? Think about your last vacation. The food can make or break your experience, right? Spanish cuisine is delicious. It is full of quality meats, fresh fruits, and vegetables. Beer and wine are reasonably priced, rounding out the perfect meal. Spain also has a rich cultural history. Each region of Spain has its own distinct heritage and there are festivals, or fiestas, each year that you can enjoy. Be sure to plan a trip during the fiestas in Costa Del Sol to really enjoy a bit of local flavor. If you've ever dreamed of owning a piece of property in Costa Del Sol, there's no time like the present! These are just 8 of many reasons why owning property in this beautiful piece of the world is such a great idea. If you're ready to look for the perfect spot for you, take a look at our properties for sale to get started!